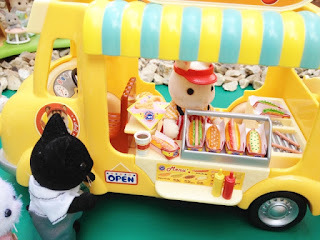 But running a bakery is hard work. 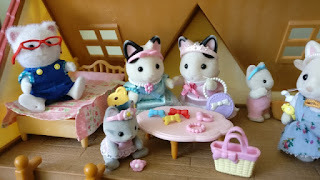 What with the upkeep and all the baking and Mr. and Mrs. Bear are ready to retire. The bakery itself is ready to retire too by the looks of it. It has been loved. And it is tired. 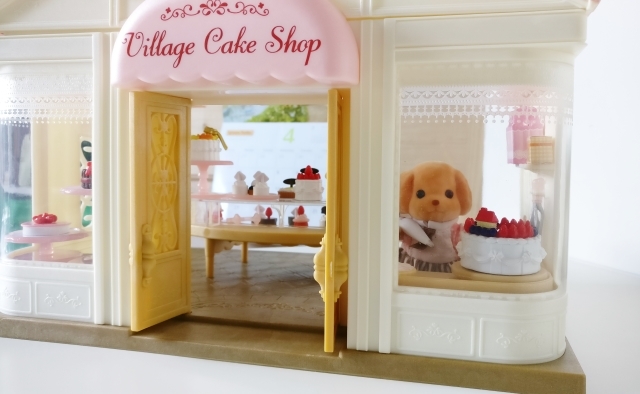 Luckily, Veronica, the Toy Poodle mother has decided to take up the mantle and open her own cake shop. Phew! 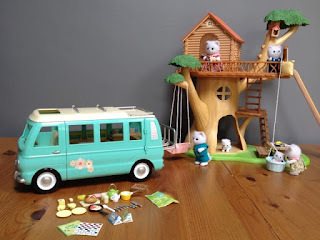 Sylvanian's love cake and would never survive without it (could any of us?!) 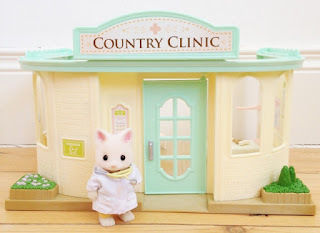 and no Sylvanian village is complete without a place to buy something sweet (hey, that rhymed!) 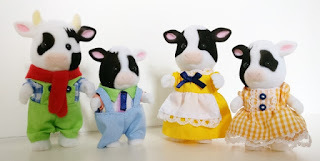 and share village gossip. 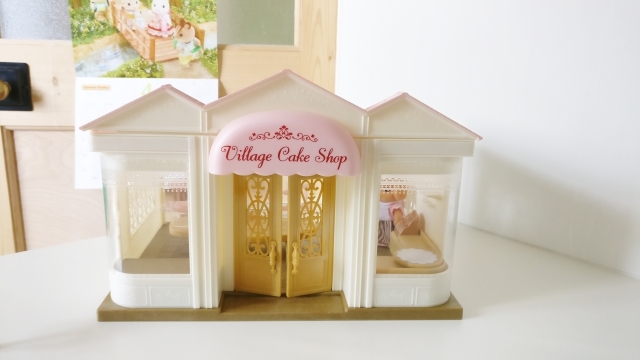 Veronica's Village Cake shop is faaaannnnncccccyyyyy. 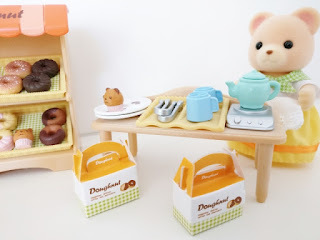 She has a completely different style to the simple, rustic breads, tarts and pastries that the Bear family specialized in. 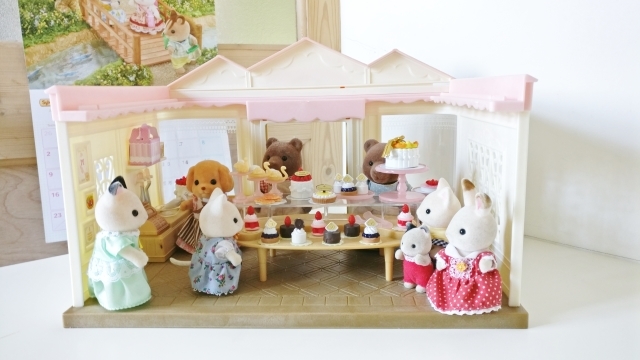 Her cakes and treats are almost (almost) too pretty to eat but our Sylvanian villagers are excited to try them. Lile, Sábha and I love that you can actually help decorate the cakes. 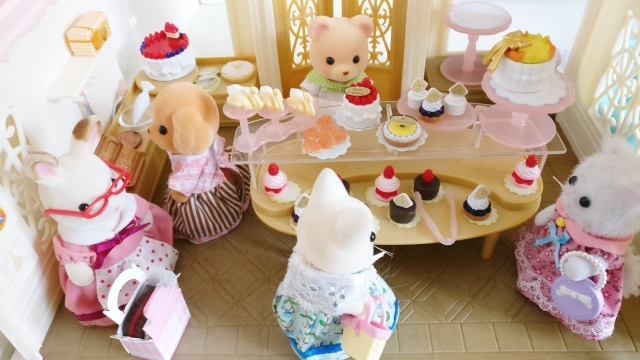 There are tiny strawberries, bows, chocolate discs and even a tiny Sylvanian house that can be used to top off the cakes and adapt them for different occasions. You can also stack some of the cakes to create a gigantic wedding-style cake for very special celebrations. 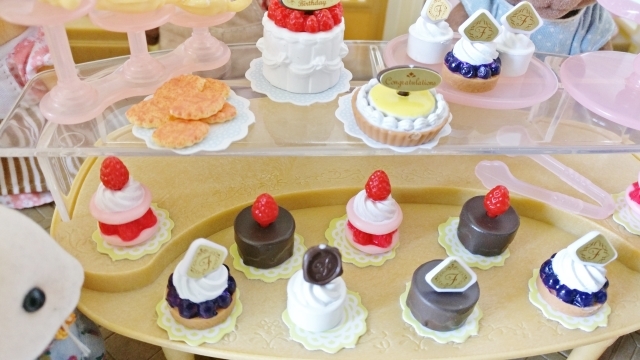 The details in this set are incredible - from the tiny utensils, the paper doilies and 'choux-pastry' swans to the pretty window decoration, the tiny 'poster' display and the gold cash register. 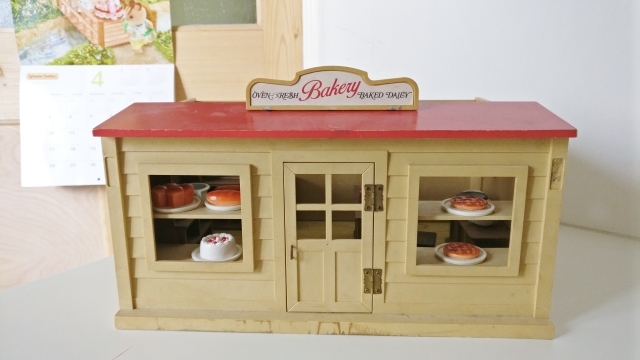 We're having a lot of fun coming up with reasons for our Sylvs to buy cakes and we are so grateful to add this gorgeous shop to our collection. 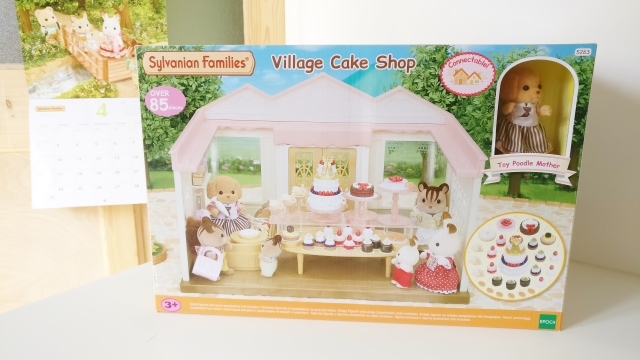 Disclosure: As a 'Friend of Sylvanian Families', I received the Village Cake Shop for the purposes of review. 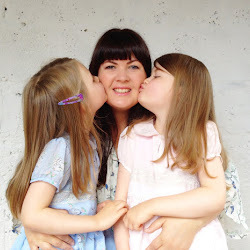 All opinions are mine / Lile and Sábha's, however, and we were not paid to give them.